Market Turmoil Ahead? ‘Fear Index’ Shows Unprecedented Activity. Calm Before the Storm? 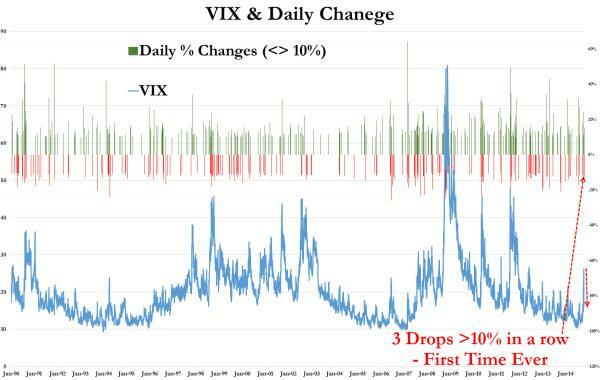 The VIX index, a measure of how volatile the S&P 500 is likely to be over the next 30 days, is showing unprecedented activity, feeding into concerns that the financial markets are about to experience huge turmoil. The Chicago Board Options Exchange Market Volatility Index (VIX) is commonly known as the ‘fear index’ or the ‘fear gauge’ because it is used to predict short-term market expectations. Last week, VIX spiked to its highest level in almost three years off the back of concerns about collapsing oil prices, the Ebola virus and weak economic growth. Could the unprecedented drop in the VIX index over the last three years represent the calm before the storm? 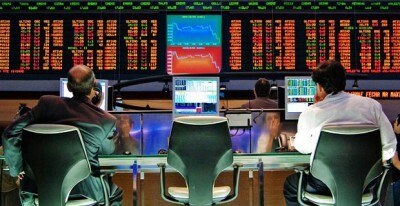 Last week, the Dow Jones suffered a drop of 450 points, its biggest loss in over a year, following weeks of turbulent market action, while the Standard & Poor’s 500 index fell 31 points, or 1.7 percent. Although stocks have rebounded since, uncertainty about the durability of the economic recovery remains a dominant theme. Last month, the so-called Hindenburg Omen, a technical analysis pattern that is said to forecast a stock market crash, was triggered twice, an event CBS News described as “another dark sign” for the markets. Traders also remain wary of a “black swan event,” a surprise incident that could send stocks plummeting. Earlier this month, UBS director of floor operations at the New York Stock Exchange Art Cashin told CNBCthat a shock geopolitical development could cause turmoil. “People don’t want to get too deeply involved, I don’t think, fearing that some bit of news or rumor could pull the plug on them,” said Cashin.